your amulet would summon an evil princess? Why would it even do that? SOFIA: I don't know. The amulet only does bad things when... Oh, no. PRINCESS AMBER: What? SOFIA: The amulet put a curse on you. PRINCESS AMBER: Put a curse on me? Why? 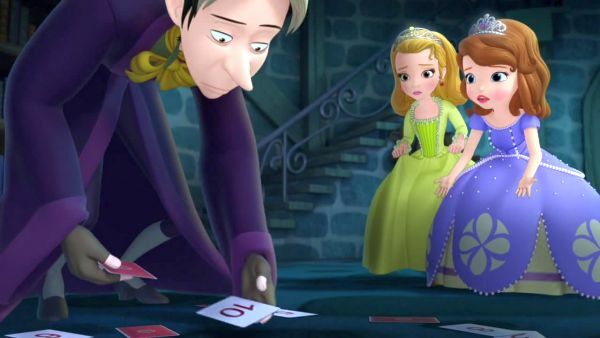 SOFIA: Because those are the rules: "With each deed performed for better or worse, a power is granted, a blessing or curse." You stole the amulet from me, so it cursed you by bringing Princess Ivy here. 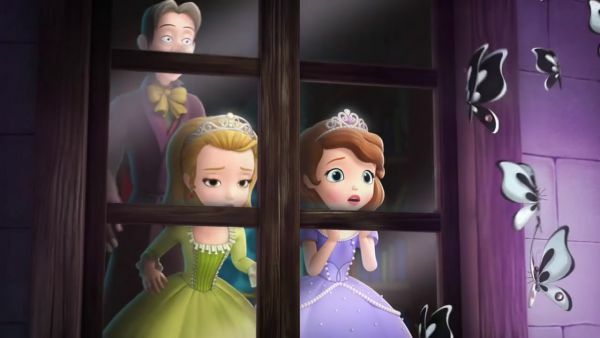 PRINCESS AMBER: This is horrible. I've never been cursed. I don't want to be cursed. What are we going to do? SOFIA: I don't know. But there is one person who knows more about the amulet than I do. PRINCESS AMBER: Who? CEDRIC: And that was your card, right? Ohh! This is impossible. SOFIA: Mr. Cedric, we need your help. CEDRIC: You wouldn't be here if you didn't, would you? SOFIA: An evil princess took my amulet. CEDRIC: Your amulet was stolen? How? SOFIA: Well, first Amber stole it. PRINCESS AMBER: Borrowed it. CEDRIC: You had the amulet too? 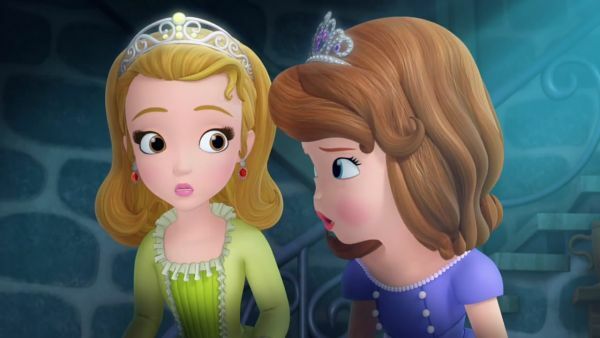 SOFIA: And then the amulet cursed her by summoning Princess Ivy. PRINCESS AMBER: Who's going to destroy it. SOFIA: Unless we can find a way to stop her. 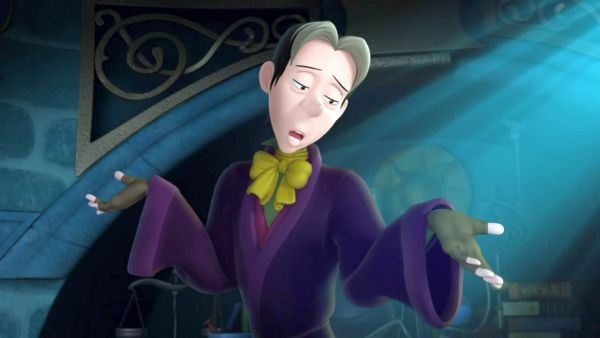 CEDRIC: First of all, there is no need to worry. The amulet of Avalor is virtually indestructible. SOFIA: Oh, good. CEDRIC: Except... SOFIA: Except what? CEDRIC: The amulet of Avalor is magically protected and cannot be destroyed by ordinary means. Only the flame of Everburn the elder dragon is hot enough to melt it. 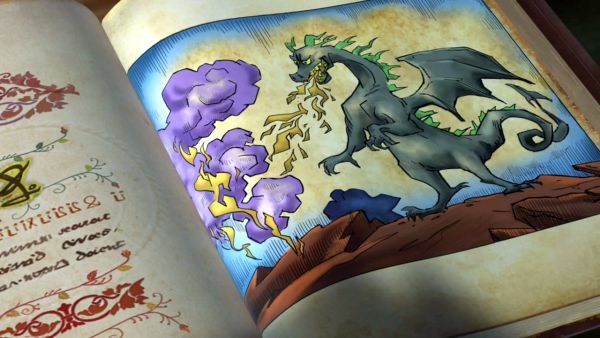 SOFIA: Who's Everburn the elder dragon? CEDRIC: He is the oldest of the talking dragons who live atop the blazing palisades. But luckily, no one else knows about him except us. PRINCESS AMBER: What's that sound? 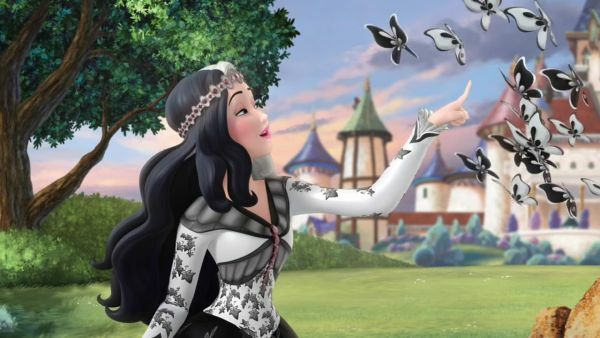 SOFIA: Ivy's butterflies! 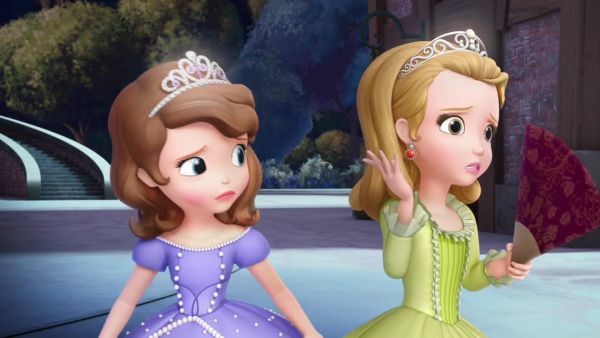 PRINCESS AMBER: They heard everything! They're spying on us! CEDRIC: Oh! Now you can worry. PRINCESS IVY: Come on! What is it? Can't you see I'm busy? What? Oh! Well done, my darlings. Now find me a flying coach. We have an old dragon to visit. 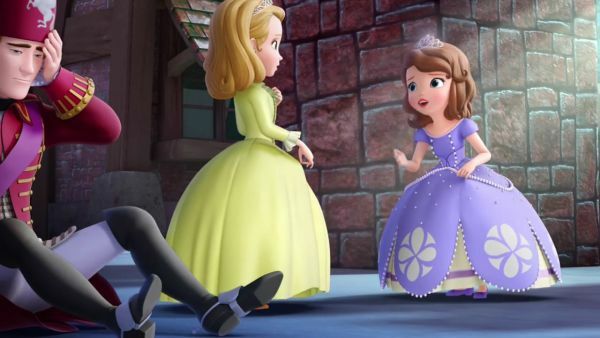 PRINCESS AMBER: What are we going to do now? CEDRIC: Stop shaking me for starters. Ohh! Right. 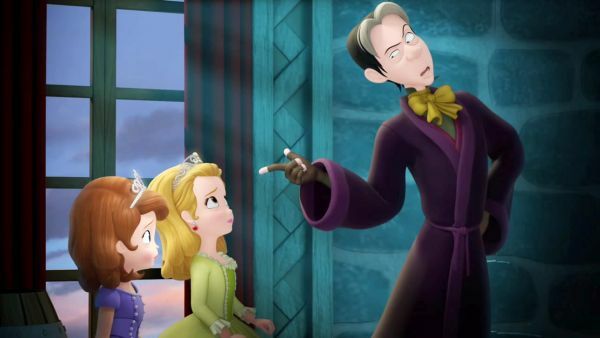 If you want to stop Princess Ivy, you, dear girl, must find a way to break the curse that the amulet put on you. PRINCESS AMBER: Me? Why me? CEDRIC: You are the one who's cursed, are you not? PRINCESS AMBER: Oh! SOFIA: What does she need to do? CEDRIC: Well, princess Amber stole the amulet from you. 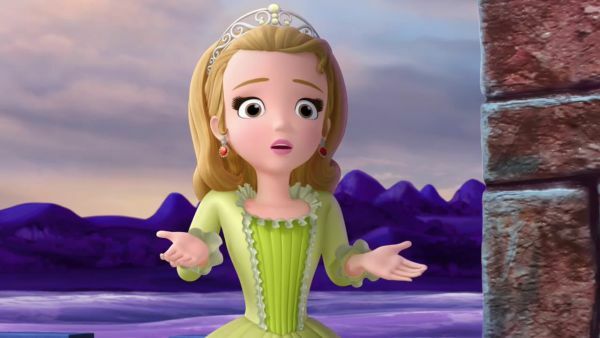 So it seems to me that if princess Amber returned the amulet to you, the curse would be broken, now, wouldn't it? 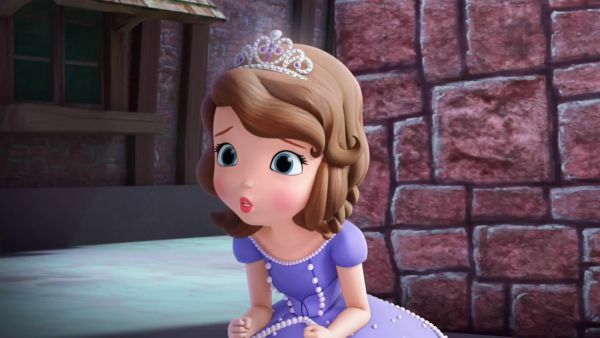 PRINCESS AMBER: But how am I supposed to get the amulet from Princess Ivy? She's probably halfway to the blazing palisades by now. SOFIA: Then you have to go after her.